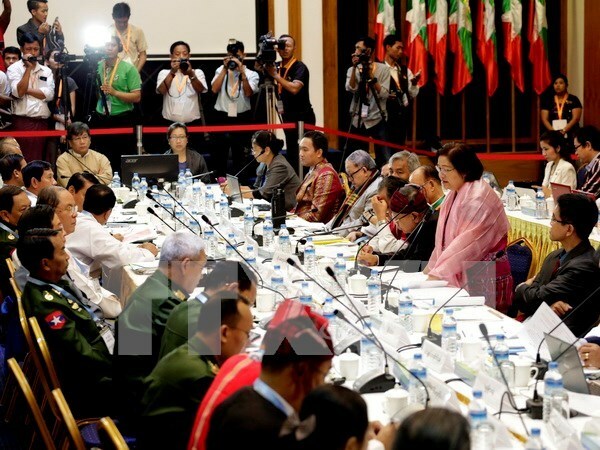 The Myanmar Government and some ethnic armed groups on October 4 agreed to set October 15 for the formal signing of the nationwide ceasefire accord (NCA) in Nay Pyi Taw, said the Myanmar Peace Centre. The decision came after talks between the Government’s Union Peace Making Work Committee (UPWC) and eight armed groups out of 15 invited by the Government for attendance. During the talks, the two sides agreed on the establishment of a joint committee which consists of 10 members of each side to design the date for the signing of NCA. According to the Myanmar Peace Centre, the signing of NCA will lay a foundation for the peace process accepted by all for the next term of the government. On March 31, the UPWC and the Nationwide Ceasefire Coordination Team (NCCT) of the ethnic groups signed the draft NCA after one year of negotiation. As per the draft signing, the two sides will set a political framework within 60 days after the formal NCA signing and start a political dialogue within 90 days.